Chris has had links with the University of Brighton since 2000, when he did his nurse training at the School of Nursing. He has a background in research and teaching social psychology, and as an RMN working in CAMHS in-patient environments. 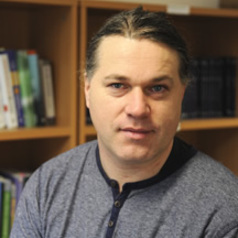 His research interests include crowd behaviour, collective action, mass emergencies, collective resilience, post-trauma psycho-social support, and use of Virtual Reality technology in teaching and research. He has applied his research findings to mass emergency planning, and how it can help first responders such as the ambulance and fire and rescue service facilitate mass evacuations. He has also worked in the crowd management sector, advising on crowd safety issues at large events in London and the South East, and contributed to the Greater London Assembly report into the response to 7/7/2005 London bombings.